We're through a tumultuous Election Day and today, we celebrate our veterans. A whole lotta flag waving going on this week, yes? And I've been all over the map with my cake love this week. In fact, there was one day that I said. Yep, nope, I'm good. No cake today. Even I feel like going on a sweets strike occasionally. But I usually snap out of it pretty quickly. It's a beautiful day here in the southeast, and I have birthdays and holidays to conquer (not to mention a tea to plan), so let's get to it, shall we? I think I'll skip the review this week and go straight for the Sweet and Pretty. Smack dab in the middle of these two days that celebrate our rights and freedom, I wanted to show you this fun vote that Half Baked held on their Facebook page: readers voted for their favorite patriotic cake. Which is your favorite? 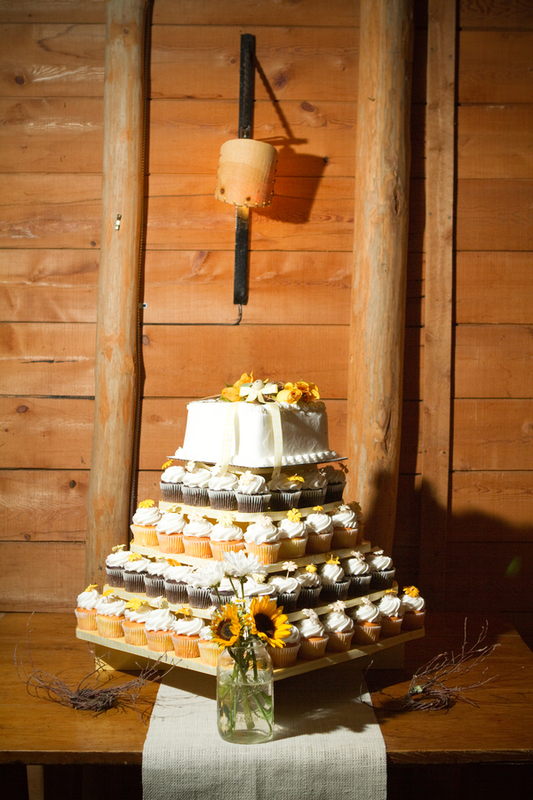 This rustic yellow and white barn wedding from Weddzilla caught my eye…probably because those bride flipflops look suspiciously like the ones I wore for my reception! 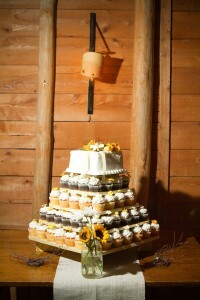 And I share the couple's cupcake tower, trimmed in yellow, above. I adore this teal and grey bridesmaid's palette from Wedding Chicks — especially those darling dancing flats! I can never resist a wedding at the fabulous Greenbrier Resort in my home state of West Virginia. From Style Me Pretty. I know it's not a wedding, but I had to share with you this cute Dumbo-inspired kid's birthday table from Hostess with the Mostess. Nutter Butters! LOVE!! Hey Gorgeous explores Bridesmaid Style 101, and I'm diggin' those J. Crew dresses.